SunMaxx Solar, a leading, vertically integrated manufacturer of solar thermal systems and components, is pleased to announce the installation of a solar thermal system at Richard Stockton College in Galloway, NJ. How Do We Grow Our Business? Our referral program is very simple. We believe that together, You and IGS can build a cleaner, greener community. When you refer your friends and family to IGS, you give them the opportunity to go solar just like you…and we give you some cold hard cash as a thank you. 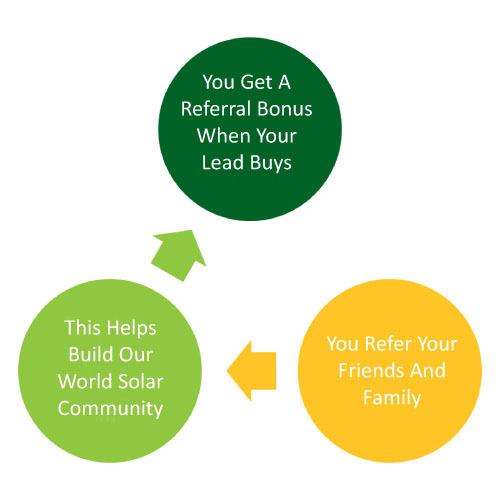 The more people you refer, the more money you can make…and the bigger our solar community will grow!